Armenia is a country of old history and rich heritage. There are many places of interest in the country, and the majority of them are located in its capital, the city of Yerevan, and its suburbs. Probably, the best way to start exploring the city is to visit Republic Square that is home to a large museum complex, governmental buildings and numerous lovely parks and squares. Erivan Fortress is an important tourist destination in the city. Built in the 16th century, the fortress has become a symbol of the historic part of Yerevan. Do not forget to visit Matenadaran – this is a unique cultural center where visitors can see a priceless collection of manuscripts dated back to the 5th – 10th centuries. 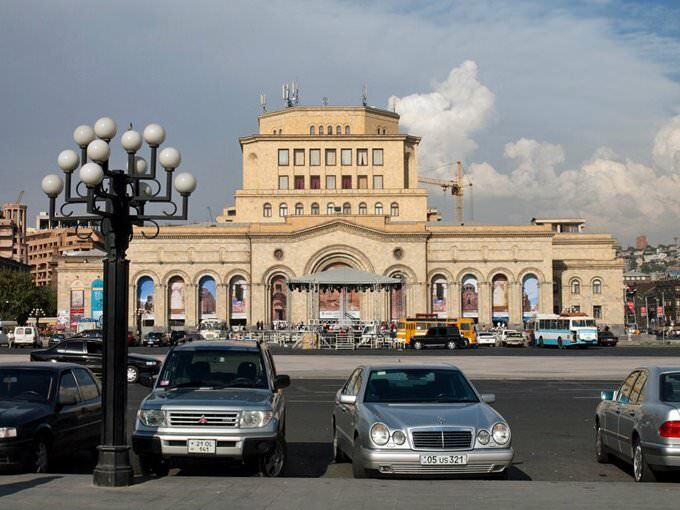 Yerevan suburbs are also rich in many places of interest that are worth visiting. Etchmiadzin complex is definitely one of them. Etchmiadzin Cathedral was built yet in the 5th century. 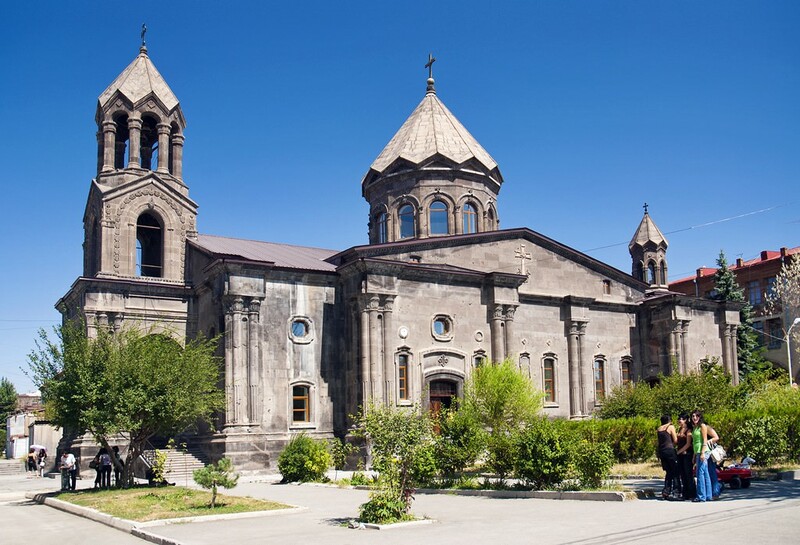 There are more historic churches not far from the cathedral – Surb Gayane, Surb Hripsime and Surb Shoghakat. Nowadays, the complex also includes the Academy of Saint Etchmiadzin, the Synod of Armenian Church, Catholicos residency, several museums and libraries that exhibit large collections of unique books and manuscripts. As you may have already noticed, there are many churches in cathedrals in Armenia. That is true, it’s possible to find old religious buildings in every town and in nearly every village in Armenia. Most of them were built yet in the 10th – 15th centuries, carefully restored and kept for future generations. Artsakh is one of the richest regions in terms of heritage. The region is like a museum in open air as it is home to more than a thousand and five hundred monuments, 500 churches and 600 monastery complexes. Absolutely every street and boulevard breathes history here. Landmarks simply border with each other, but the most famous places of interest are the ruins of Hachen and Vacharq cemetery. The formation of the modern country started in ancient times, in the 12th century BC, and continued by the 6th century BC. Modern Armenian people are considered as descendants of ancient Urartean, Hurrian and Luwian tribes. The precise date of the formation of the Armenian kingdom is unknown. Some historians think that it was formed in the 6th century BC. The first written references to the country called Great Armenia date back to 331 BC. In some written sources, the country is referred to as the Kingdom of Ayrarat. Shopping in Armenia - best shopping places, what to buy? The great empire competing with Rome existed on the territory of present Armenia already in the 1st century AD. Over hundreds of years, the Roman Empire has tried to conquer the great country but none of its military campaigns was successful. 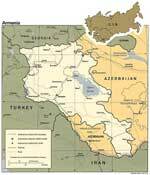 The history of Armenia is rich in military conflicts and conquests. The most eventful period was the times of the Byzantine Empire’s reign and multiple military conflicts with Arab conquerors. Armenia is proud of its rich history and culture, which all its guests can acquaint with. One of the main tourist centers in the country is Lake Sevan located in the picturesque mountainous area. On the shores of the lake, there are a lot of comfortable hotels and boarding houses that attract fans of beach recreation, health tourism and walks along picturesque natural sites. On the territory of Armenia, there are several large balneological resorts. Healing mineral springs are a prominent value of the country. The most beautiful and most attractive balneological resort is Jermuk. It is located in the mountains at a height of 2 000 m above sea level. On the territory of the resort, there are over 30 thermal springs that have served as a basis for establishing the health resort. In Armenia, a lot of beautiful national holidays are celebrated. One of the most interesting ones is the National Wine Day. Main festive events are usually held in the picturesque village of Areni Vayots’ Dzori Marz. Several years ago, as a result of archeological researches in the surroundings of the village, the old winery that was open in the 9th century was found. This article about iconic landmarks and sights of Armenia is protected by the copyright law. You can re-use the content, but only under the condition of placement of an active link to www.orangesmile.com. Tatev ropeway is one of the most popular sights in Armenia. It was opened in October, 2010. 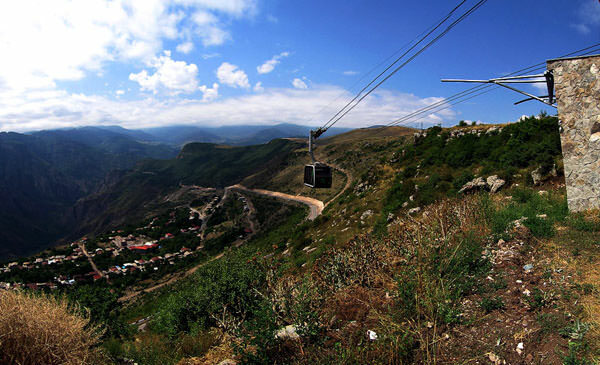 This aerial tramway was built to connect the settlements Halidzor and Tatev separated by deep Vorotan Gorge. Near the settlement of Tatev there is an ancient monastery, which has long attracted curious tourists. Specifications of the tramway are very impressive. It’s 5,700 meters long; the passenger cabin can accommodate up to 25 people at the same time.